Well i love my Garden natural string, But i am forever misplacing it or dropping it. so i came up with an idea for a little box, the string sits underneath, and the string is pulled through one of the eylets, so i always know where my string is, it looks pretty and dust and dirt can be kept away from it also, as the roll is too big to go into a draw. 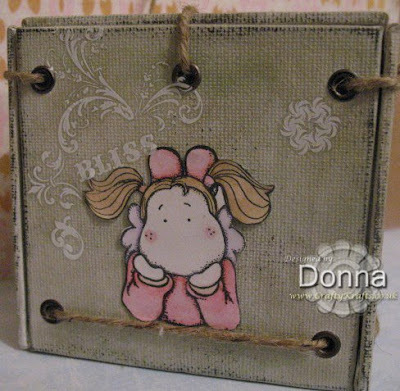 oh and it was made from canvas boards that i sell in my shop. 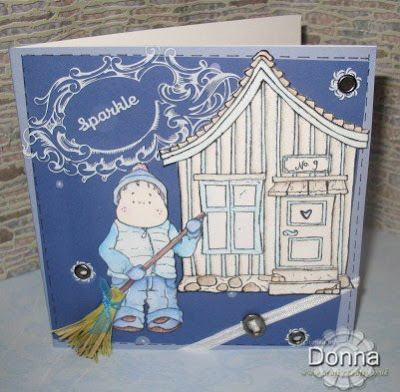 This entry was posted on 27.4.08 and is filed under Magnolia Stamps . You can follow any responses to this entry through the RSS 2.0 feed. You can leave a response, or trackback from your own site. Stunning creations. 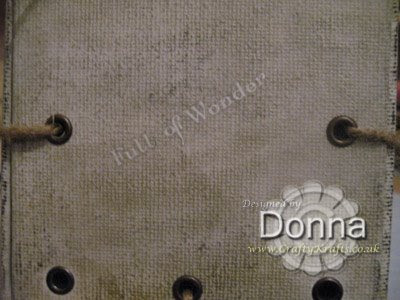 So wonderful pieces. Love it. Wow - what great Works. The Box is so stunning! 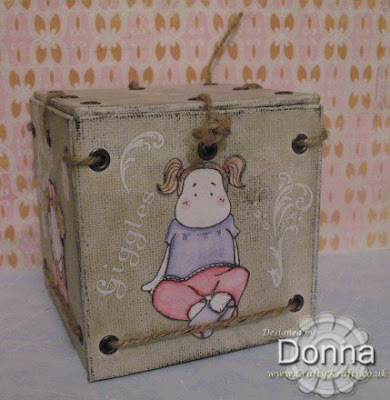 Wow, I love both of them - the card is so cute and your box is just striking ! This is a great idea! Really cute. Fabulous creations. I really like the box. 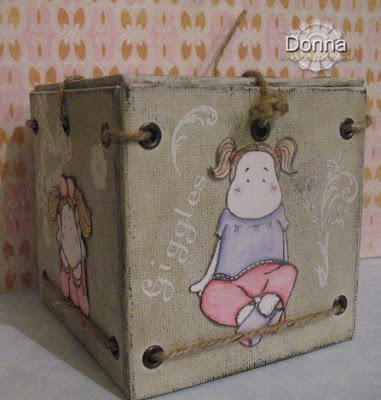 Absolutely gorgeous box Donna - what a fab idea! 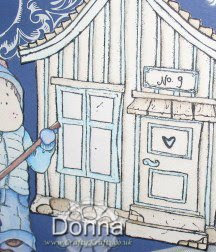 I love the grunged look too, even if it's Magnolia'd aswell! BTW: That card is pretty cool too! 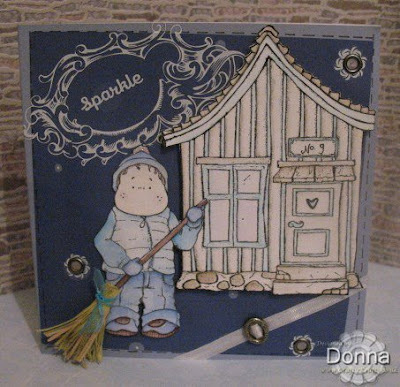 I love your Edwin card but the box is just fabulous, what a great idea, love the design.